I have just created my splash page on a website called about.me. Essentially it's an online business card. I would highly recommend that you all sign up for one too! Seriously - if you are like me: a blogger, have a twitter account, a facebook account, and communicate via email then you NEED this. It was easy and fun to create. You can have ALL of your online content on a single page. I kept mine simple but you can personalize your page and be as creative as you want to be. 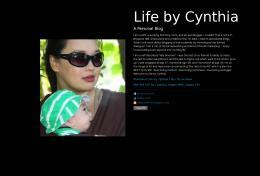 Check out my page: Life by Cynthia . I recently signed on with BzzAgent which is social marketing organization and found myself extremely fortunate to learn about this new tool. About.me is EXACTLY what I need for pulling all of my info together. 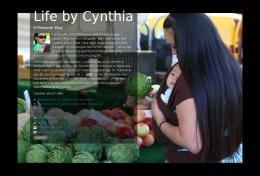 Check it out, sign up for your own about.me splash page, and please let me know what you think! I would love to check out the page that you create! If you need more info on BzzAgent let me know, or click on my Affiliations Tab and link through the BzzAgent icon. I have only been a BzzAgent for 10 days but I absolutely love it! Thanks for the follows! Following you back on twitter and here!! !